Case trimming is one of the most important steps you can take in order to re-use your fired brass. Indeed, this is a process that can give you good value for money especially as it eliminates the need to acquire new rounds. Start by making sure your brass is ready. It’s important to double-check and confirm that it’s a neck sized unit and that it’s properly cleaned. Get your drill in your hands and check it up to see if your cartridge and stud are in your drill. For each brass, ensure you take the primer pocket for cleaning of any ashes. Take the primer with one hand and scrap clean the primer pocket with the other hand side. May you also like to read: Top Cordless Horse Clippers, Click Here to Continue. The next step is to take the stud and put it on the brass, slowly and gently tightly lock it up. Take the steel wool for cleaning and start polishing the brass. On this stage, take your cutter/pilot and start trimming the brass. Ensure that the drill is going forward. If your speed is at medium, you will feel it when it stops cutting. Make sure you have a trash can with you because the brass will shave off. Avoid doing this on the floor or the carpet as all the brass shavings will be on it, making it dirty and uncomfortable. The next thing is to change the mouth of the brass. This enables your bullet to seat without tampering with the outside of the crap. Turn it gently a few times and avoid overdoing it. Check to see your outside part of the case have the chamfer. Ensure you do not over trim your case, if it is over trimmed the outside of the case will find some brasses running over. With that use the chamfering to trim the excess brass. Once you are done with all the trimming, the result will be a very clean and attractive mouth. It should be sizeable, not thin nor broad. Reason being It may make the mouth crack and reduce its lifespan. This is basically a more natural way to do it manually, but there is another automatic Lee Case Trimmer. Unlike the manual process which takes quite a bit of time and effort, the automatic process tends to be quick and comfortable. There are no manual setups involved. Likewise, you don’t need to adjust any complex measurements. Select the right shell holder in line with the length of your case. A wrong hold can cause your cases to chamfer both on the outside and inside. Complete the usual installation process and end up with a quick press. At this point in time, you’ll be more than ready to start the trimming process. When done with the Lee Case trimmer, the adjustable stop is just a click away. You can reduce, increase or even standardize the trimming frequency. 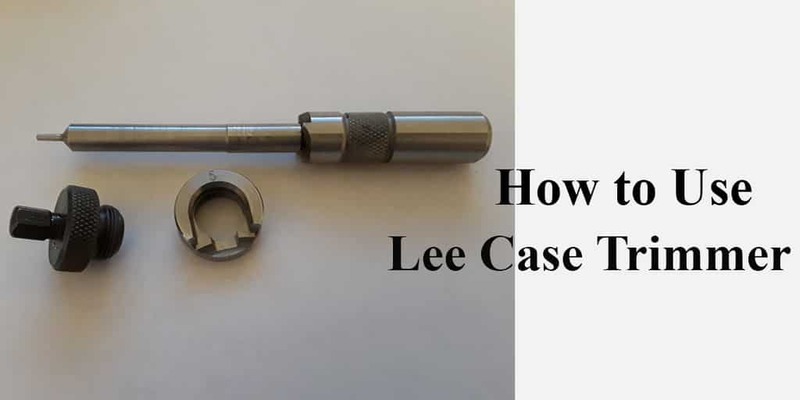 Using the manual Lee Case trimmer could be a bit tasking and involves a lot of hard work while using the automatic one is flexible, very fast and painless. Please note, the shell holders and Lee Case Length have been designed to only fit particular gauges. So be sure to keep such factors in mind before you put your Less Case Trimmer to use. How to Sharpen Hedge Trimmer with Dremel. How to Sharpen Nail Clippers – Everything You Need To Know. Baby boys are fabulous people. They’re playful, sharp and sometimes a little too stubborn – but we love them all the same. Don’t we? Well, when it comes to trimming their hair, you want to make sure you’re doing everything right. Make a mistake or two and they just might end up loathing the entire process. Because we all wouldn’t want that to happen, learning the correct way to do it can go a long way in preventing things from getting out of hand. Indeed, learning how to cut baby boy hair with clippers only requires you to take a few simple steps. 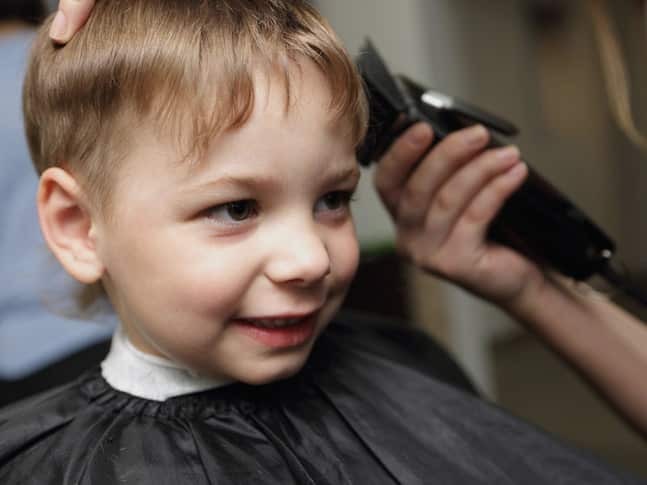 To begin the process of saving your little boy’s hair, you’ll need a set of clippers, clipper guard (preferably one with number 3 on it), comb, and scissors. It is worth noting that clippers come as a set and the numbered guards are also available in a package. Of course, number 3 is our recommended choice for shaving your cute little boy’s hair as it is just the right fit for his delicate heads. The next step is to find the boy. Have him drape a towel around his shoulders and sit on a comfortable chair. Now, let the job begin. Put on the plastic number 3 guard on your clipper. Be sure to pick the right guard from your set. Most manufacturers have a way to make sure that each guard is clearly marked. So, you shouldn’t really have any trouble finding the right fit for the job. Read More: Best Dog Clippers for Poodles, Click Here to Continue. Plug in the clipper and switch it on, ready for the action. You want to check and confirm that the machine is working as it’d be expected. Also, be sure to confirm that the cables are well connected and that the power is stable. You don’t want to be forced to call off a trimming session just because of power outage. Your boy may not like it. The best way to shave a little boy’s head is by holding the clippers in a right angle position. Wait, what’s the right angle position? Well, if math wasn’t really your favorite subject back in school, a right angle position is a 90-degree position. In other words, this is the angle that would draw an L position relative to the head. You should begin by shaving the base of the neck proceeding straight upward. The idea is to shave in an upward motion while trying to keep up with the direction of hair growth. Ultimately, you want to make sure your little man is comfortable throughout this process. Also, be sure to trim him evenly throughout the head. Once you’re comfortable that the hair is well trimmed, the next step is to edge it. For this purpose, you’ll need to start by removing the guard from the top of your clipper. Then proceed to clean up the area around the ears and the back side of his head. Some people prefer to use a pair of scissors for this process and you can do so as well if you prefer. The only warning to take here is that you need to be extremely careful not to end up nicking those little ears. So, always remember that clippers can be too sharp and only a careful trimming will help prevent accidents. Hurray! If you’ve made it to this stage, then you’re pretty much done using your clippers. Congratulations for doing it so safely and effectively. Now, the next step to take involves the use of scissors. Begin by getting his hair wet – of course you can choose to either use a spray bottle for this role or simply turn to a cup of water. Start by doing a nice trim from the top of his head particularly by taking a section in the front in order to make your guide. It’s at this stage that you get to choose the kind of length you want his hair to be. Hold your fingers in a level position and try to keep them as leveled as possible. This will help you cut his hair in an evenly and decent way. Then once you get the drill you can proceed to finish the rest of the cutting process. Remember to be keen at all times as boys can sometimes get a little playful and make an, otherwise, perfect process into a not-so-good one. (1) Most boys like it when you trim their sideburns in a straight line. I don’t know why they like it but it seems like they find it to be pretty cool. (2) Talking about side burns, you want to make sure that these are made to be of the same length. (3) Want to cut down on mess at your place? The best idea is to do the hair cut either in the garage or the backyard. You may also use the bathroom particularly if the bathroom is spacious. (4) You don’t always have to wet the hair when using the clipper. In fact, you’re likely to find that wet hair is pretty difficult to trim with a clipper. (5) Avoid shaving your boy’s head while he’s wearing pajamas. Polyester pajamas in particular are pretty messy as they don’t allow the hear that falls on them to come out no matter how hard you clean them. As you can see, getting your baby boy’s hair isn’t rocket science. But to do it right, one has to be sure to take the right steps without leaving any room for compromise. Also, it’s important to maintain a sense of taste so your little one can enjoy every part of the process and appreciate the fact that they look better after a shave. So, in a nutshell, this is not merely a physical process but a psychological one. Are you up for it? We certainly hope you are ready and that the steps detailed above will be of great help to you. How To Trim Nose Hair Without Scissors. How to Use a Beard Trimmer with Guard. There are a variety of horse brushes on the market. No matter the kind of brush you choose, ensure that the bristles are taken care off. You only have to identify the best for your horse. Horses are usually very adorable, especially if they have been groomed right. Invest in the right horse brushes, so that you can take good care of the horses and extend their lifeline. 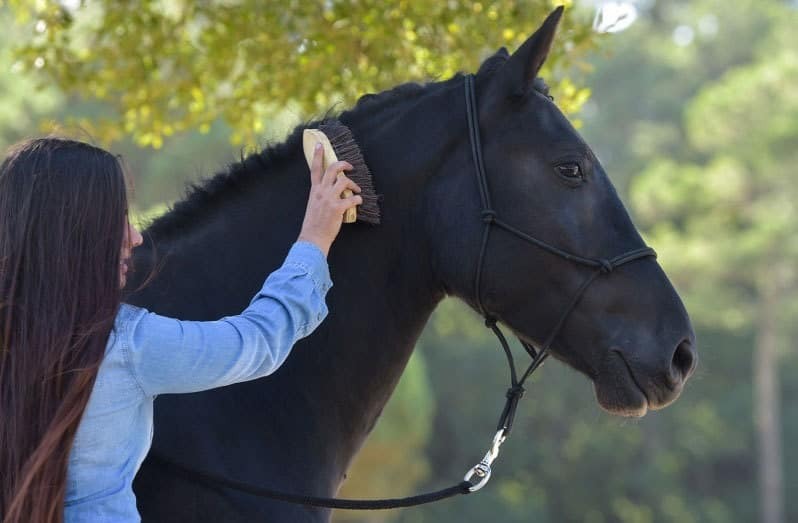 Store well your horse brushes so that it's bristling will not be smashed or crimped. A good way to ensure that the brushes are taken care off is to make them stand on end so that the brush can stand independently on its handle. The other way to keep the bristles safe is to interlock the two brushes. You will never have a clean horse using a dirty brush. In fact, the more you use a dirty brush the more you are adding a build-up of more dirt on the horse and on your brush. When you continue neglecting your brush, the brush bristles will clump together making it even impossible to give effective results. Flat surface to place the brushes (Under the sun). Read More: Best Dog Clippers for Matted Hair, Click Here to Continue. Make sure to gather all the brushes, so go round the stables looking for the brushes, in case there might be one or two that you might have missed. Once you have the brushes with you, by running the rubber on the bristles, Start getting off all the long hair. Ensure you are outside doing this cleaning as natural light will enable you to see well. 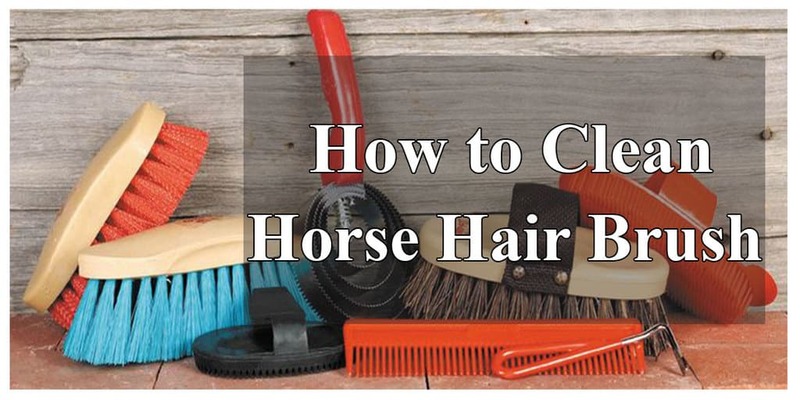 Now that you have at least cleared the long hairs from the brushes, start doing horse birth preparation. Prepare warm water in a nice big basin. In your warm water, add either shampoo or soap, depends on your preference. Start by washing the back of the brush using the hairbrush, then afterward wash through the bristles. Warm, soapy water helps in loosening the dirt. As you wash, ensure the other brushes waiting to be washed are soaked into warm, soapy water. Repeat the process of washing. However, if your brushes have a wood handle, ensure they don't soak on water for a longer time, as they might crack. It is not necessary to soak the brushes in water for a long time. The next step is to do the rinsing, remember to rinse the brushes completely with warm water. Repeat the rinsing process for the rest of the brushes. Afterward, place the brushes on a flat surface under the sun for the bristles to dry. Make sure you clean brushes by running it against the rubber curry after every brush stroke just to remove the dirt that might have stuck on the brush. Then after you are done, take the brush and knock it against the wall or any hard surface so that the dirt may not stick on the brush, this is to ensure that the next time you use the brush, it will still be as clean. Remember that the quality of the brushes really matter, cheap is expensive when it comes to owning a horse brush. Most plastic curries are not as good as they damage the horse hair, pulling them out and eventually making the brush lose bristles. Keep stroking of the brush against the rubber curry to get the remaining dirt out before you store the brushes away. Get a nice dry place to store your horse brushes. This will ensure the brushes are dry just as you left them. The brush needs to be set on the side or set the bristles up while the brush rests on the handle. Get a good and dry closed box to keep your brushes, an open one is not as highly recommended because it attracts dust that is not good for the cleaned brushes. If you have to use an open box, make sure to cover it with a towel or a clean piece of cloth. In cases where your brush has bent bristles caused by bad storage. You can leave the brush at an open place for airing, place the brush sideways to be balanced by its handles or lay it on the back for the bristles to be on top, with time the bristles will be back to its usual square shape. If need be, spray the bristles with some little water, then leave them out to dry. Another way to getting the straight bristle result is to tightly wrap the bristle in tissue for about 24 hours, they bristles will come back to shape. Keeping your horses neat will also need you to keep the horse brushes clean. Instead of running to the market to buy a new brush, why not spend some few minutes keeping clean the brush that you have already. It will save you money and time looking for new brushes. How To Clean Sweet Sweat Waist Trimmer. Mostly we are very dependent on a pair of tweezers to shape our eyebrows. But why not try something, more natural and different? The eyebrows trimmer is fast and convenient. When shaping or wanting to trim your eyebrows by yourself, nothing can save you time like this cute, convenient and efficient tool. The problem could be that most of us may not know its importance and how to use it. We definitely do not want to mess our eyebrows up by not knowing how to use it. Keeping the eyebrows neat is everyone's goal. The easiest way to accomplish that is of course by allowing your hair stylist to groom you. But for them that have their brows grow a bit fast than required then you have to learn how to maintain it all by yourself. You will, therefore, need an excellent eyebrow trimmer to make your look completely and neat. There are other tools that you could use for trimming like scissors and combs, but again using a trimmer is way easier and less dangerous. Believe it or not, eyebrows do have a terminal growth, meaning that whenever it reaches a certain length, it might start falling off. But before they get to that length, you'll notice the eyebrows getting very bushy. So, here now are the only steps you need to follow so you can keep your brows looking dapper. You may love to read our another article on: How to Trim Pubic Hair without Itching. You need to start by preparing your eyebrows for trimming. That would mean you need to take a warm shower so that your eyebrows become dumpy with water and they loosen. The warm water steams your hair follicles as well as the pores. This enables the hair strands to smoothen and becomes easier when trimming. The next step is to use moisturize around your eyebrows. Use a moisturizer that you are comfortable with. Apply the moisturizer on the creases of your eyes and also apply to the upper part of the eyes. The naked skin between your eyebrows should be moisturized as well. Protection will be guaranteed for your skin during the trimming. To top it up, the hair will be a bit plumper making the trimming process effortless. Since trimming, eyebrows can sometimes go south; the next thing to do here is to study your eyebrows shape through the mirror. The goal here is to get the nice length for your face shape. Take the little eyebrows comb and brush everything upwards. Make everything all messy and gnarled as possible. The comb upwards again so that it is easier to start the trimming process. At this step, take your eyebrows trimmer, grip it firmly to avoid any sliding of the trimmer. Then start twisting the trimmer head clockwise. Slowly slide the trimmer head comb on the trimmer head on the first position. You will hear a slight click. This will enable you to trim your eyebrows on a shorter length. Do not slide the eyebrow too far, as it may click on the second position. Check your eyebrows comb to be clear which position you would want to trim in. To get a smooth feel, quickly slide your finger across the eyebrows. Ensure you start from the inner side of the brows to get a soft feel of the eyebrows. Turning the trimmer on and running it across the length of the eyebrows while in the same motion. Repeat the process on the other eye. 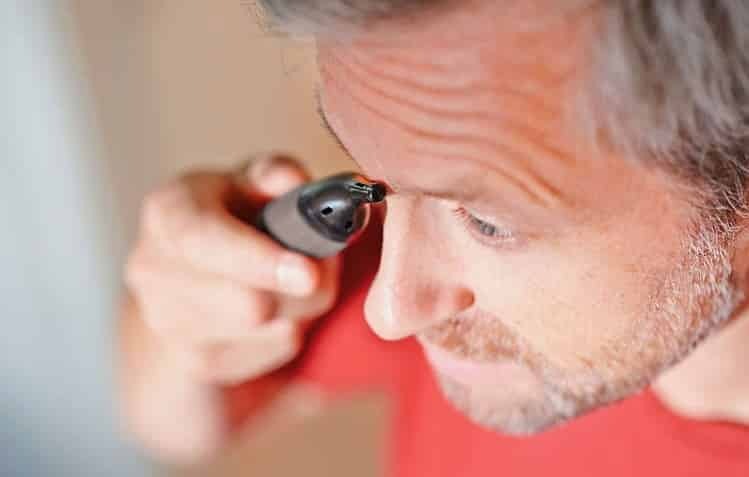 Remember to never turn your trimmer from outside coming inwards, this will trim your eyebrows very short. Trim to your desired length. Another content of us: How to Use an Electric Bikini Trimmer. When you are done with the trimming of the eyebrows, take a close look to see if everything is symmetrical from every angle. In case you notice that any hair strands are sticking out, trim them off to give your look a nice clean trim. When all is good, and you are satisfied with the look of both your eyebrows. Take a warm cloth and wipe your brows, then don't forget to take a nice brow gel and apply on your eyebrows. This will give you a perfect look while maintaining the excellent shape of your brow and ensuring the hairs are all in place. It is easier to get that perfect look without straining with the traditional way of using razors and scissors. Threading and plucking can also be a bit painful. The step by step guide on how to use the eyebrows trimmer, is a clear indication that using a trimmer is easier and efficient. 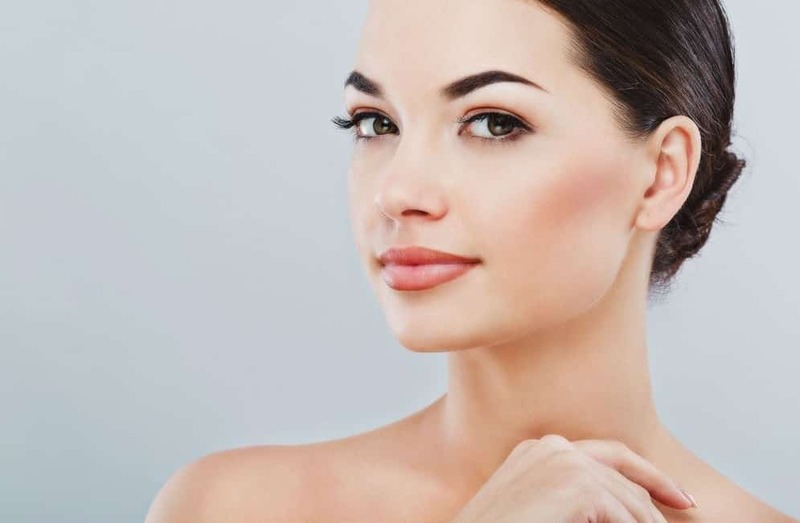 Now that you are aware of the step by step process on getting a perfect trim, why don't you practice it on your own and get your eyebrows perfectly groomed. How to Remove Bikini Hair Without Waxing or Shaving. How to Remove Nose Hair for Females. Is there anyone who can afford to survive without using paper? Well, despite the advent of digital technology, paper work remains a stubbornly indispensable part of our lives and so is the paper cutter. Made to operate through a guillotine-style of cutting this machine comes in handy in ensuring paper work is kept neat. But in order for that to happen, a blade has to be used. It is the work of the blade to chop the paper into tiny pieces. Unfortunately, the more you use this blade, the higher the likelihood that it will lose its sharpness. As the blade becomes dull, sharpening presents you with a better opportunity to keep it working at its best. Blades – whether on a pair of scissors, knife or cutter – are meant to be very thin. However, the more the blade does its job, it tends to lose its sharpness in the sense that it actually increases in thickness. This slight increment in thickness makes it extremely difficult to deliver a neat cut. That’s why it’s imperative to take time off to sharpen this blade. In that regard, there are a few mandatory steps one needs to follow. Without adhering to these, one would easily end up delivering a below-par experience or even damage the entire paper cutter. Of course, you don’t want that to happen – right? Well, here is a quick run-down of the steps you need to follow. Always start by removing the blades. To do this, you’ll only need to unscrew the hexagonal bolts that hold the blade in place. You can do this easily using an Allen wrench. The best way to do this is by removing the bolts from each end while working your way toward the middle. Note: Be sure to refer to the manufacturer’s manual for detailed instructions on this. Once you’ve removed the blade, the next important task is to sharpen it. But in order to make sure you’re doing it correctly, you might want to refer to the recommended blade angle. You need to make sure that you sharpen it in line with its specified angle. Note: If the pitch is too steep or shallow, it might affect the blade’s cutting performance. Choosing the kind of material to use for the sharpening process is quite important. You can either have it done using a stone or a grinder as follows. Get a 1000-grit stone which is large enough to allow you to draw the entire blade across on each stroke. Ideally, the higher the number of grits, the higher the effectiveness of the stone. Be sure to stroke the blade upon the stone in repeated motion – this should be done until it is sharp when touched. Afterward, you can turn to the second side of the blade and repeat the process. 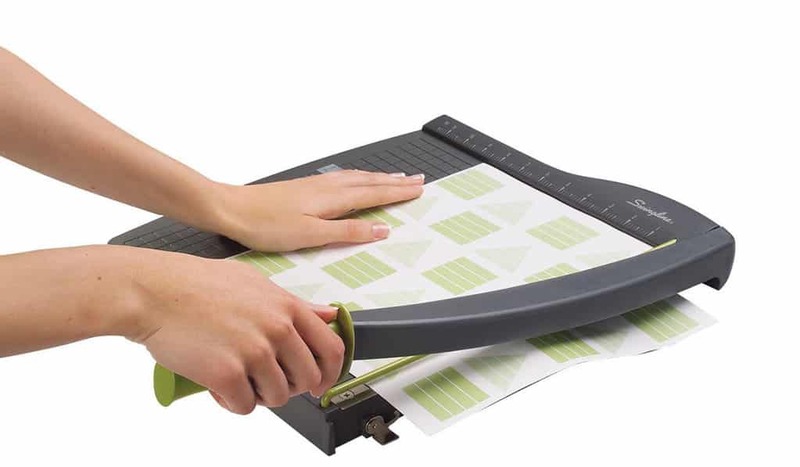 Using a grinder makes sharpening a paper cutter much easier than using a stone. But in order for this to happen, it’s best to start by investing in a bench grinder. At the same time, it is imperative to keep a close eye on the grinding angle of choice. Once that is done, you simply need to leverage on the high-speed wheel to do the rest of the job for you. Once you’re fully sure that the blade is sharp enough, the only challenge is to ensure it is properly re-installed in its original place. This is, however, a no-brainer. All you need to do is bring down the guillotine before inserting the blade and fully attaching the bolts. While at it, it’s imperative to ensure the blade is kept at the correct level. Most importantly, double-check to ensure that the blade comes into contact with the contact stick simultaneously from side to side. 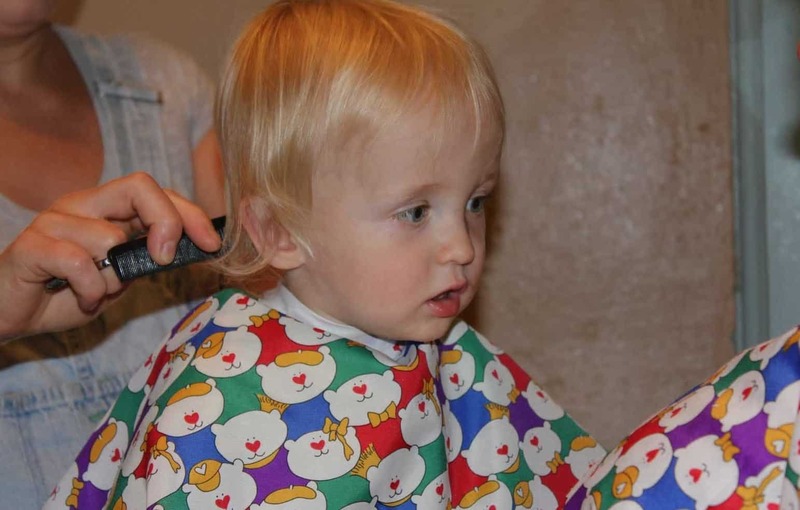 May You Like To Read : Top Hair Clippers For Fades, Best Baby Nail Clippers. It’s important to always keep in mind that after several years of sharpening, you may eventually need to replace the entire blade. If you’re not sure that you can do this job on your own, you may want to consider working with a professional sharpener. Some of these companies require you to ship the blade to them and it usually takes a few weeks to get the sharpened blade back. It’s a prudent idea to always keep a spare blade around just in case. This is particularly important for busy offices where there’s only one cutter. That way, you can avoid getting any downtimes as you wait for the blade to be sharpened. Your safety is always important. Whenever you’re interacting with sharp objects such as a sharpened paper cutter blade, it’s imperative to be extra careful. 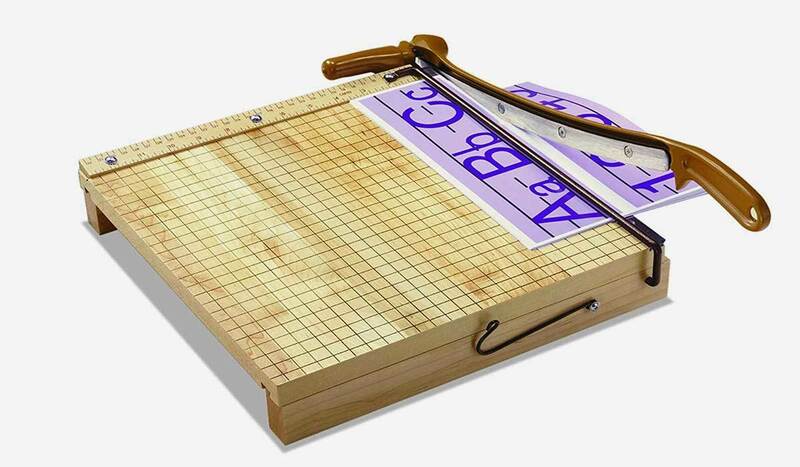 You don’t want to end up injuring yourself in the process of trying to make your paper cutter better. Whichever way you look at it, sharpening using a bench grinder tends to be faster than using a stone. So, if time is of the essence, we’d recommend the former method over the latter. That said, grinders tend to wear your blade faster than the hand sharpening stone. Paper cutters are here to stay. If you’ve ever worked in a busy office where papers have to be trimmed from time to time, you probably know why we’ve made that comment. Ultimately, if every cut has to come out clean and professional and that’s why you need to make sure the blade of your paper cutter is well cut. While at it, be sure to always begin the process by carefully removing the blade. This should be followed by carefully checking the blade angle before deciding whether to use a stone, grinder or a professional service. Note that the grinding process can sometimes require a couple of strokes. The best way to determine that your blade is ready is by feeling it with your fingers. This can, however, be a dangerous process and we’d recommend exercising extra caution. 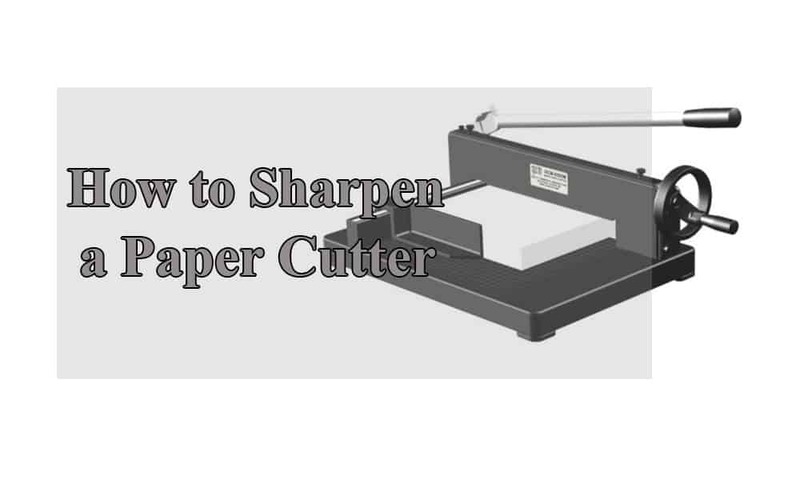 We hope that the step on how to sharpen a paper cutter as discussed above will help you get the job done perfectly. Most importantly, it’s our hope that your paper cutter will start to do its job as perfectly as usual once you complete this process. Most cats have long untrimmed claws. Cat owners think it is normal for the claws to be long, but it is not. Cats like human beings find it irritating having long claws. It is better to start trimming the claws as young as it is so that the cat can get used to. Cats usually sit happily at the owner's lap and look forward to the trimming. To ensure that the cat sits comfortably to your lap without any movement, pass your hands over to the neck of the cat and hind end to maintain the cat on your lap. It is now easy to hold the clipper with the other hand. There are three types of clippers to cut the cat's nails. They include: Guillotine, scissors and human finger clipper. Of the three, the human finger clipper is highly recommended as it is easier to use within the shortest time. Take the cat and place it on your lap. Hold the human clipper with the your active hand. Stretch the cat's leg and squeeze the claws to reveal it and take the clipper towards the claws and slowly but gently squeeze the clippers handle to start trimming the claws to cut by moving the clippers blade to cut the claws to the desired length. You will expect to see light colored claws as most cats have that. The shade of color makes it easy to see the blood vessels that supply blood to the claws. Carefully look for a pink pigment at the end of the nail, this is called a quick. While cutting the claws, ensure to cut about 2 millimeters away from the quick. In case you cut the quick, the cat will be in a lot of pain and will bleed a lot. To avoid cutting the quick, hold the clipper perpendicular to the nail, you will be able to cut from the top to bottom with a lot of ease. Cut the claws that are light colored as it is not painful, trim with just a cut at every nail. Ensure you do not hold the clipper parallel to the nail; this will cut side to side which may not be ideal, causing the nail to crush. Use a nail file to sharpen the clipper, as the sharper the human clip trimmer the better the cut. Learn More : 7 Best Power Case Trimmer, Top Cordless Horse Clippers. To ensure that your cat doesn't accidentally scratch you nor snag your furniture, you need to groom its claws. It is easier to use the human clipper as it is pocket-friendly and takes less time to trim the claws. Instead of using the traditional methods of trimming using traditional gardening tools like shears, use Dremel tool sharpener. Hedge trimmers might not be the easiest to sharpen, nor are they easy to remove from power for sharpening. However, it becomes easier once the blade assembly is removed and can be cleaned then you can go ahead to sharpen using Dremel. Be careful during the process of the dismantling and reassembling, though. A lot of things might go wrong. It is easy to notice plants or gardens that have been trimmed using a sharpened hedge, they happen to be neat. That not all; sharpened trimmed hedge helps plants heal a lot faster. Using a well-sharpened hedge trimmer eases the trimming process for you. It becomes faster to trim with a sharpened hedge trimmer and takes less time as compared to using a blunt one. The more you use a sharpened hedge trimmer, the more you give it life to serve you. This is because by using a sharpened hedge trimmer, you avoid damaging plants with bluntness hence giving the gardening tool an easy time with a lasting life. By sharpening the hedge trimmers, you are guaranteed of gardening safely as it makes work easier and you are able to keep the environment clean within a short time. The Dremel sharpening tool has three attachments that enable you to maintain your hedge trimmer with ease. The Dremel tool sharpener is known to sharpen the hedge trimmer blades to its best and gives it a beautiful, shiny look that restores the edges to be as good as new. Dremel sharpener can sharpen a variety of other garden tools as well, like shears, shovels, axes, and hoes. Dremel Sharpener enables the hedge trimmer to work effectively and efficiently. Dremel tool sharpener is cost effective and affordable. Read More : Best 4 Cycle String Trimmer, Top 9 Guillotine Paper Cutter. Ensure your hedge trimmer is clean before the sharpening process begins. Traces of either stones or grasses shouldn't be seen. Ensure the blades are cleaned thoroughly and no stones are stuck on the blades. Start by preparing the Dremel sharpening kit. Ensure you attach all the small screws and nuts in the right position. 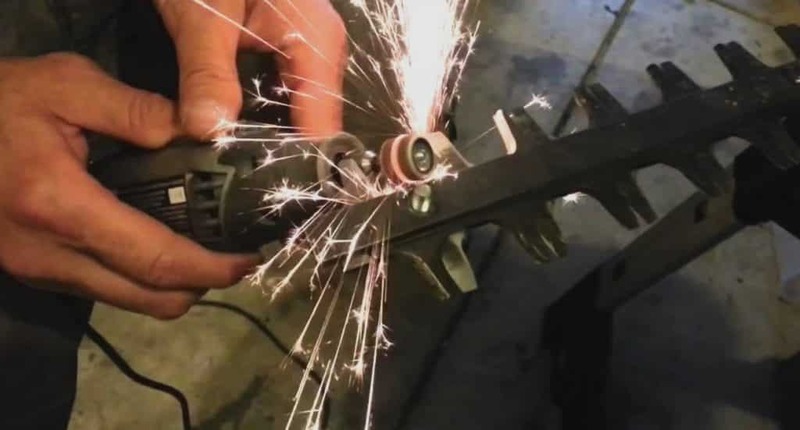 Have ear and eye protective gear, to protect yourself from sparks of light and grinding noise, there might be permanent damage in case the sparks and noise is too much. Make sure you put on a protective face cover if you have. Do the sharpening especially during the day, this will enable you to see clearly. Prevention is better than cure and it's better safe than sorry. Secure the hedge trimmer to a firm bar. In ordered to sharpen the blades, the hedge trimmer needs to be positioned very tightly to avoid any movements while sharpening. Ensure you hold the sharp end of the Dremel away from your body. Switch on the Dremel and move it slowly to the hedge trimmer's blades. Apply light pressure to prevent over sharpening the blades, slowly use small but short strokes, long strokes causes unevenly sharpened blades. Ensure you keep your body away from the grind, be careful. Continue the process by repeating it. Keep turning the hedge trimmer and reclaim the bar to tighten it to avoid any accidents. Using the Dremel tool sharpener to sharpen the hedge trimmer blade will make your trimmer as good as new. Using the best tool in the market to sharpen your trimmer gets you in the right habit of maintaining your gardening tool. The more you continue using the Dremel sharpener, the more you get used to sharpening and keep getting good results. Manage your garden with the best hedge trimmer in the market. Overgrown nails make it uncomfortable for the dog to move. Overgrown nails mostly tear the dog's skins when there is the need to scratch. Overgrown nails may injure the dog's feet. The overgrown flow nails cause scratch marks on the flow. Overgrown nails get the furniture and carpets torn. With overgrown nails, the dog can develop joints problems. The dog's skeletal bone structure is at risk with the long unkempt toenails. Most of the dog's owners think that having unkempt dog toenails is normal, but it is exactly the opposite, the dog stands to have a lot of risks living with untrimmed nails. It is evident that since there is a need to trim your dog's nails, then there must be also a need to have the nail clipper sharpened. If you have been using the nail clipper for quite some time then be sure that the clipper has become blunt and may need sharpening. There are a variety of nail clippers in the market, regardless of the clipper you use, in order to sharpen it, you have to dismantle it. Different clippers, comes in different shapes and designs. Slowly remove the anything that is holding the clippers blades, after dismantling it the blade will easily come off. The Clippers need to be clean, on this step, ensure that the clipper's blade is clean before sharpening. Get rid of any dust, dead skin or nails that could have been stuck. Now that you have cleaned the blade, the next step is to actually sharpen the clipper. There are various tools that are used to sharpen the clipper, they include: Grinding stone, Diamond tapered rod, sharpening rod and ceramic rod. Depending on the clipper you have, then you can use any of the preferred sharpeners to sharpen your clipper. 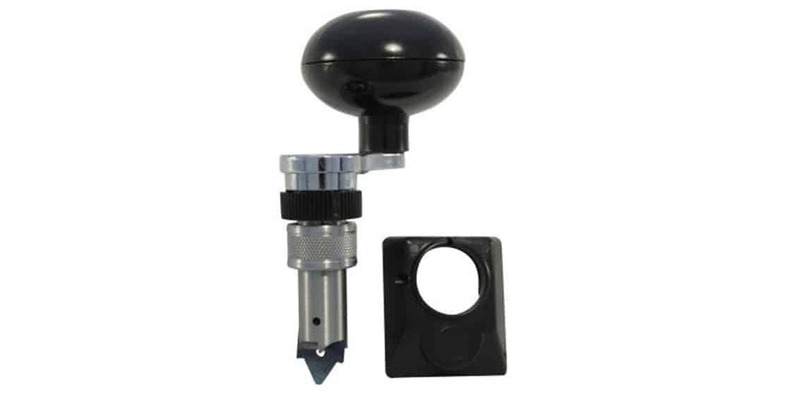 However, the most recommended dog nail sharpener is the grinding stone and the sharpening rod, they are efficient and easy to use and gives awesome results. While sharpening, ensure that you hold the blade at an angle of 35 to 45 degrees. Holding the blade in the right way ensures that the blade of the clipper gets evenly sharpened. Slowly and gently slide the blade side to side for more than ten times, from your judgment you will conclude when the blade is done sharpening. After you are done with the sharpening, take a piece of cloth, gently slide it wiping up the residue. Then repeat the same process on the other side of the blade. Once you are satisfied with the sharpness of the blade, place the blades back to the clippers and assemble them. Lubricate the blades by use of oil to make it easier for functioning. Check to see if the nail clippers are functioning well. The only way to find out is by taking the dog's toenail and carefully trimming the nails. Learn More : Best Dog Grooming Clippers for Poodles, Top Hair Clippers for Cat. 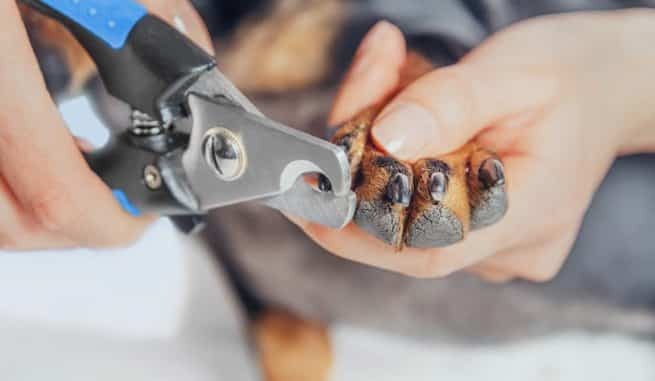 The dog nail clipper has a scissor shape like, and it is designed to cut even the toughest of dog nails. They are the easiest to find and use. It is very popular with a lot of dog groomers. This type of clipper has a spinning sander that cuts down the nail leaving a nice and smooth texture on the edges of the nails. It is, however, a bit slow when you are trimming hard dog nails, it is a bit of noisy, so it might scare the dog during the trimming process. Mostly the Rotary sander clipper you have to do replacement quite often as compared to other clippers. The clipper comes with a retractable blade that you have to squeeze for it to work. You have to be careful as the blade must be sharp enough so for it to perform well. The only disadvantage with this clipper is that if the dog's toenails are too hard and the blade is not sharp enough during the trimming process then, it will either chip the nail or crush it without cutting the nail. You need to be very cautious when purchasing the dog nail clipper. Even the slightest mistake can result in damaging a sensitive nerve causing a lot of bleeding. That is why you are required to have the right tool for the job. A lot of problems are brought about by not having the right clipper. It's not enough to just buy any clipper, quality is key. Do not be attracted by fancy clipper, they might be attractive to the eyes, but might not be of good quality as far as trimming the dog toenail is concerned. Mostly, the fancy clippers are ineffective and become blunt once you have used them. Do not take the risk of injuring your dog, by using worn out clippers or blunt ones. Either use the right tools to sharpen the clippers or go back to the market and buy a brand new one that will serve you and your dog for a long time. Consider buying a new clipper when you are sure that you can no longer continue with the sharpening of the blade as the clipper is worn out. Lucky for you, the market has a lot of top quality dog clipper that is pocket-friendly. 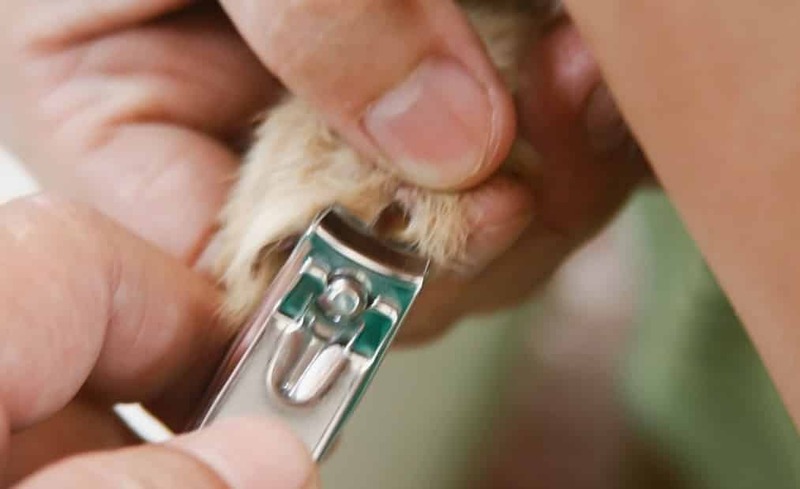 Finding the right nail clipper for the dog will go along the way into saving your dog's life. Get yourself a high-quality dog clipper sharpener that can keep the clipper sharpened for longer. It is indeed true that the effectiveness of a nail clipper is highly dependent on the sharpness and quality of the dog toenail clipper. A beard trimmer is an essential grooming kit that can help you do any beard style your wish for. It is important to consider what features you want in a beard trimmer when purchasing one. Check how the trimmer is powered and whether it is waterproof or not among other features. Are you learning to shave your beard? The first step towards getting a successful shave requires knowledge of the effect of different trimmer guard sizes on your beard. It is essential to understand how your trimmer guards work and how trimmer guard numbers work. 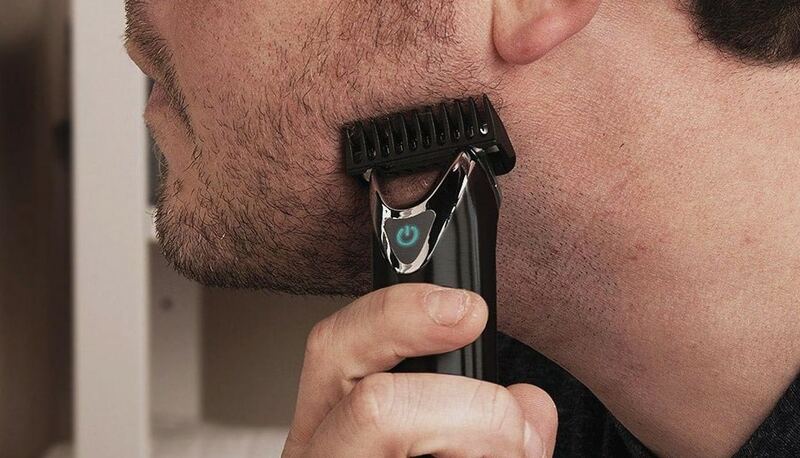 Beard trimmers are designed with detachable guards that determine the length of hair to be shaved. To alter your hair length requires a different trimmer guard. The guards have numbers on them. The numbers correspond to the haircut they shave. To shave your desired beard length requires you to choose a trimmer guard that corresponds to the length of beard you desire. Begin by understanding your current beard trimmer guards. Take out your current trimmer guards and study them all. Check out the numbers on the guards. Have you noticed that guards with low numbers have shorter guard teeth? Each guard is designed to shave a specific hair length. A lower guard number leaves less hair on the beard. If you need to leave longer hair on your beard, therefore, you need a guard with a more significant number. Therefore find out what length of hair each guard of your trimmer is meant to shave before picking a trimmer guard. Usually, if you need a very close shave, then it is recommended to use your trimmer without a guard. Using a trimmer without a guard is commonly referred to as size 0. Please note that trimmer guard numbers are not standard and may vary depending on the trimmer model. Therefore whenever you buy new trimmer models, begin by familiarizing yourself with the hair length size the guards are designed to trim. The next step is deciding what kind of style you want across your beard. The main areas to be shaved are the face, under your jawline, your neck, the area under your Adam's apple and your mustache. What hair length do you want in each of these areas? Deciding on the hair length will enable you to select the guards you need to achieve the desired haircut. Each beard style requires a particular guard length. You don’t want to be limited from having a specific beard style because of not having the right guards. Go ahead and select the guards you need for your specific beard style. Ensure that you have all the trimmer guards for your specific beard style. You need to acquire more trimmer guards separately and not rely on the guards that came with your trimmer. When buying, you need to buy trimmer guards that are compatible with various beard trimmer models. Before shaving, ensure that your trimmer is well lubricated. Then begin to shave. Shave by looking at yourself in the mirror. It is always advisable to start by shaving your beard the most extended style of your choice first. Then go over the areas, where you wish a shorter trim. Shave off any stray hairs and check to ensure that you have an even shave. Remember to remove the guard if you want a complete shave in any area of your beard. The trimmer and guards require to be cleaned after every shave. Remove the guards from the trimmer. Guards are plastic and required little maintenance. They need to be washed with warm water and soap. Remove any hairs on them, then rinse them off with warm water. Use the brush that was bought with the trimmer to clean it. Detach its head from the trimmer handle. Brush the trimmer to remove any hairs that are stuck on it. You can use a cotton swab to clean it. Never wash your trimmer with water unless it is waterproof to prevent it from rusting. Then lubricate your trimmer with oil if it is not well lubricated before safely keeping it for your next use.